CellGenix Recombinant Human Activin A reliably promotes definitive endoderm differentiation of embryonic stem cells (ESCs) and induced pluripotent stem cells (iPSCs). It in addition maintains the undifferentiated state of ESCs and iPSCs. 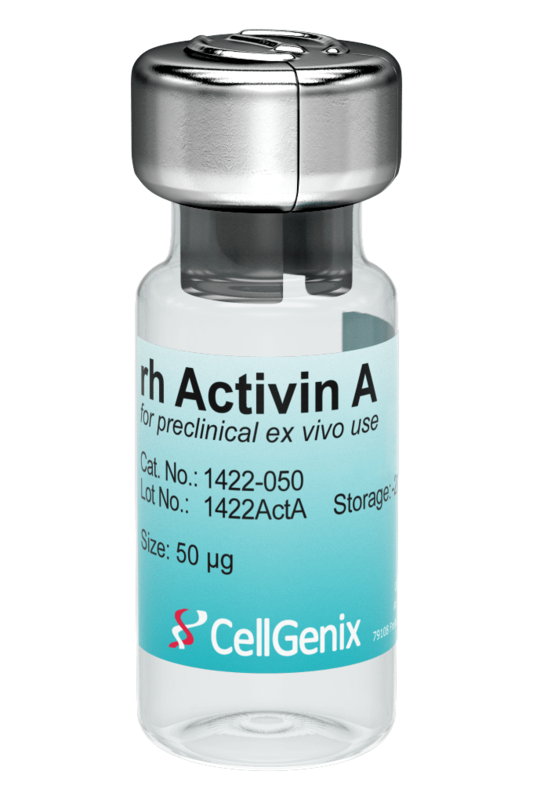 CellGenix rh Activin A is produced in our dedicated animal-free facility ensuring maximum safety for optimal use in ATMP manufacturing.  Activin A belongs to the transforming growth factor beta (TGF-β) superfamily. It regulates a variety of biological functions, including cell proliferation, differentiation, apoptosis and wound repair. 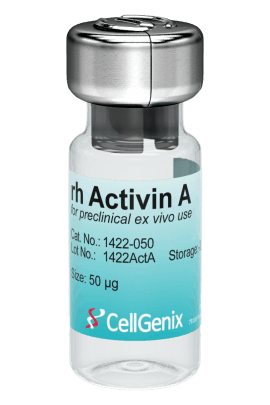 Activin A is used in the cell and gene therapy space to promote differentiation of ESCs and iPSCs into definitive endoderm, and for the maintenance and self-renewal of pluripotent stem cells (PSCs). 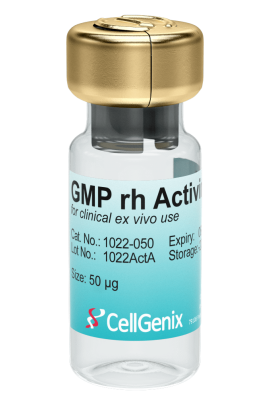 CellGenix GMP Recombinant Human Activin A is produced following all applicable GMP guidelines and allows for the safe use in accordance with USP Chapter <1043> and Ph. Eur. General Chapter 5.2.12. 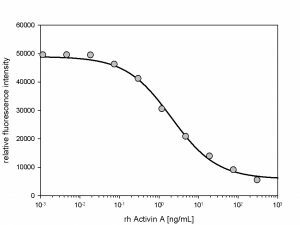 The activity of GMP rh Activin A was measured by inhibition of MPC-11 cell proliferation. 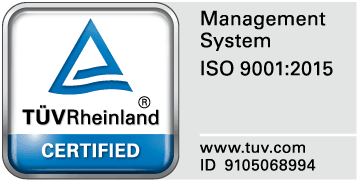 It was calibrated against the WHO International Standard NIBSC #91/626.